Demographic, social, and cultural changes in the customer base such as aging population, accessible healthcare and affordable healthcare insurance are putting more pressure on healthcare providers to be accessible, affordable, and responsive. As a result, healthcare organizations rely on technology more than ever before to help achieve their business and clinical objectives . 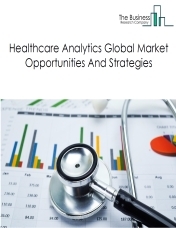 The healthcare services industry as a whole is very important to the world economic growth. By 2022, it is expected that the healthcare services market will grow to $9.6 trillion. 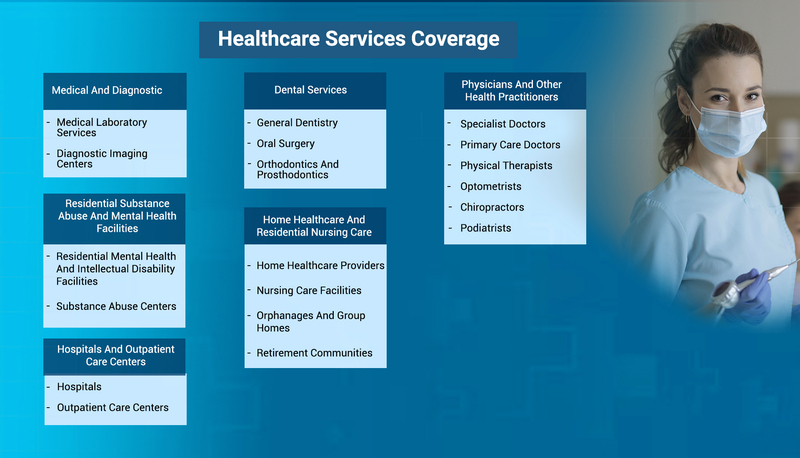 The healthcare services market consists of sales of healthcare services and related goods by entities (organizations, sole traders and partnerships) that provide human healthcare services. This industry includes establishments that provide services such as medical and diagnostic laboratory services, dental services, home health care and residential nursing care services, residential substance abuse and mental health facilities and other healthcare services. The medical and diagnostic laboratory services market consists of sales of medical and diagnostic laboratory services and related goods by entities (organizations, sole traders and partnerships) that provide diagnostics tests for various diseases. This industry includes CT scan centers, X- ray centers and other clinics that undertake disease diagnosis. The dental services market consists of sales of dental services and related goods by entities (organizations, sole traders and partnerships) that provide dental services. This industry includes establishments that provide general dentistry, oral surgeries and orthodontics and prosthodontic services. The home health care and residential nursing care services market consists of sales of services and related goods by entities (organizations, sole traders and partnerships) that provide home health care and residential nursing care services. This industry includes establishments that provide home healthcare services, nursing care facility services, personal services, counselling services, vocational therapies, rest home services, social services, nutritional services and others. The residential substance abuse and mental health facility services market consists of sales of residential substance abuse and mental health facility services and related goods by entities (organizations, sole traders and partnerships) that provide residential substance abuse and mental health facility services. This industry includes establishments that provide residential mental health & intellectual disability facility services and substance abuse centers that offer treatment to drug addicted patients, counseling and other support services to mentally challenged patients. The hospitals and outpatient care centers market consists of sales of hospital and outpatient care services and related goods by entities (organizations, sole traders and partnerships) that provide hospital and outpatient care services. This industry includes hospitals such as general hospitals, specialty hospitals and psychiatric and substance abuse hospitals that provide treatment and diagnosis for various diseases. It also includes establishments such as outpatient care centers that provide kidney dialysis, family planning counselling and other outpatient care services. 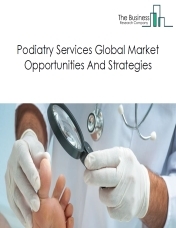 The physicians and other health practitioners market consists of sales of physician and other health practitioner’s services and related goods by entities (organizations, sole traders and partnerships) that provide medical care services. This industry includes specialist doctors such as psychiatrists, psychologists and others that provide palliative care, treating psychosomatic disorders, mental disorders and others. It also includes primary care doctors and other physical therapists providing treatment in therapy areas such as cardiology, dermatology, neurology, gynecology, anesthesia and others. The all other ambulatory health care services market consists of sales ambulatory healthcare services and related goods by entities (organizations, sole traders and partnerships) that provide ambulatory health care services. This industry includes establishments that provide outpatient care services such as dental services and other physician services. The biobanks market consists of sales of biological specimens such as blood products, human tissues, cell lines nucleic acids (DNA, RNA) and other specimens through biorepositories. A biobank is a collection of human biological specimens including whole organs, tissue, blood products, plasma, urine, or intracellular components such as DNA and RNA. 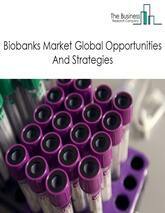 This report analyses and evaluates the biobanks market, which consists of sales of biological specimens such as blood products, human tissues, cell lines nucleic acids (DNA, RNA) and other specimens through biorepositories. The report covers two periods – 2014 to 2018, the historic period and 2018 to 2023, the forecast period. The biobanks market reached a value of nearly $50.3 billion in 2018 and is expected to grow at a compound annual growth rate (CAGR) of 6.4% to nearly $68.5 billion by 2023. 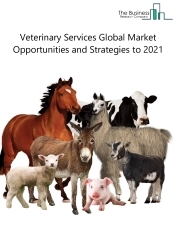 Factors such as advances in drug discovery and development, rise in funding from government and private organizations, changes in lifestyle and increasing geriatric population globally are contributing to the growth of the market. Factors such as such as stringent regulations, lack of standardization and ethical and legal issues such as informed consent and protection of participant privacy may restrain the growth of the biobanks market. 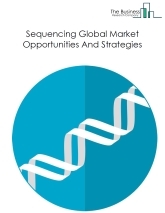 The sequencing market consists of sales of sequencing instruments, consumables, software and services by entities (organizations, sole traders and partnerships) that produce sequencing instruments, consumables, software and services to companies which investigate and sequence DNA (deoxyribonucleic acid) or RNA (ribonucleic acid) samples of human, animal, plant and microbial species. Sequencing instruments are devices for carrying out DNA or RNA sequencing. Podiatrists are physicians or surgeons specializing in preventing, diagnosing and treating conditions of lower extremities such as feet and ankle. Podiatrists offer comprehensive care for all situations regarding problems with the skin, muscles, ligaments, nerves and bones of the foot and ankle. Podiatrists may suggest diagnostic tests after evaluating symptoms. Diagnosis of the condition leads to treatment options which include either medication, alternative therapy or surgical procedures. 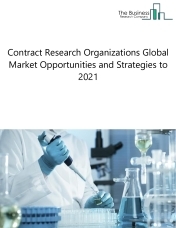 A Contract Research Organization (CRO) is a service provider, which offers end-to-end solutions in conducting clinical trials for biopharmaceutical and medical device companies. The core services offered by CROs to biopharmaceutical companies include initial drug discovery solutions, toxicology studies, bio-analytical services, central laboratory, site monitoring, data management services, vigilance, bio-statistics, study and development program design and consulting, regulatory affairs and a variety of post-marketing surveillance services. Following the major reason of hiring a CRO, CROs have shifted their focus on emerging markets. CROs are focusing on conducting clinical trials in emerging countries such as China, India and Brazil to reduce drug development costs. As the sponsors of the CROs struggle with the rising cost of drug/device development, they are also challenged to improve productivity and efficiency, streamline clinical trials, and meet more rigorous regulatory and quality assurance requirements in order to sustain profitability. The cost of conducting clinical trials in developing countries is around 50% lower than that of developed countries, with the potential of less costly clinical trial enrollment and more cost-effective trial conduct. Veterinary services provide healthcare for animals - especially pets, farm animals, and animals kept in zoos and wildlife parks. Healthcare is required in cases of disease or injury and for health maintenance and management. This industry comprises licensed veterinary practitioners who practice veterinary medicine, dentistry or surgery for animals. 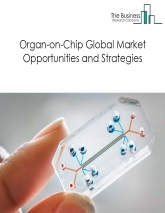 The organ-on-chips industry comprises of establishments involved in the manufacturing and development of organ-on-chips models. Organ-on-chips are microfluidic 3D cell culture devices that closely mimic the key physiological functions of body organs. These chips are not designed to bio mimic an entire organ, but simulate the physiology of a single functional unit of an organ system. The recent past has seen some developments in the testing of human organs-on-chips. Human organs-on-chips (OOCs) are miniaturized versions of lungs, livers, kidneys, heart, brain, intestines and other vital human organs embedded in a chip. With advances in OOC technology, drug regulatory bodies have started testing OOCs for their reliability and their use as an alternative to animal testing. For instance, in April 2017, the US FDA announced an agreement with Emulate Inc., a US-based biotechnology company, to evaluate the company’s human organ-on-chip technology in laboratories. Analytics is the systematic use of data and related business insights developed through various analytical models such as statistical, cognitive, contextual, predictive, quantitative and other emerging models to initiate fact based decision making for planning, measurement, management and learning. These analytics may be predictive, descriptive, and prescriptive. Currently, the global healthcare industry is experiencing a fundamental transformation to value based business from volume based business. With the increasing demand from consumers for improved healthcare quality and enhanced value, the healthcare providers and payers are challenged by reduction of costs, improve better outcomes, provide more with less and be more patient centric. 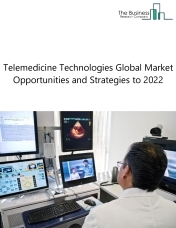 The telemedicine technologies market includes companies involved in developing technologies which enables patients in remote locations to access medical expertise easily, efficiently and without travel. Telemedicine provides more efficient use of limited expert resources to monitor patients in remote locations whenever it is required without leaving their facility.